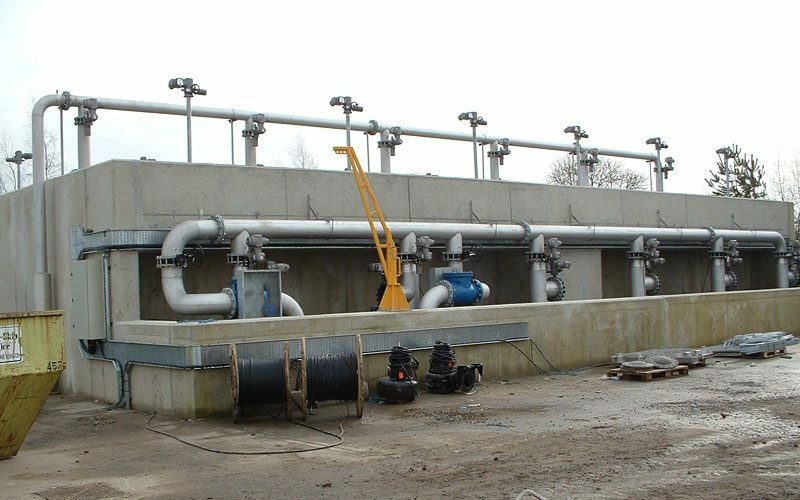 Colloide’s deep bed sand filter systems are a high performing and reliable solution for water and wastewater treatment. Each of our filters are engineered to meet the specific performance requirements of individual wastewater treatment plants. The filters are designed with a filter bed depth of between 1000—2000 mm, and the media is carefully selected with the correct size, uniformity coefficient, roundness and material qualities. The media is supported on a bed of gravel to provide the necessary support during filtration and distribution of water and air during the filter backwashing process. The water travels downwards through the filter bed, the solids are captured by the filter media and the clean water is discharged through the base of the filter. In order to clean the filters, we use a state of the art backwashing system, backwashing with air and water. An individual filter is taken off line, backwashed and then returned to service. The backwashing process takes approximately 2 minutes to complete. 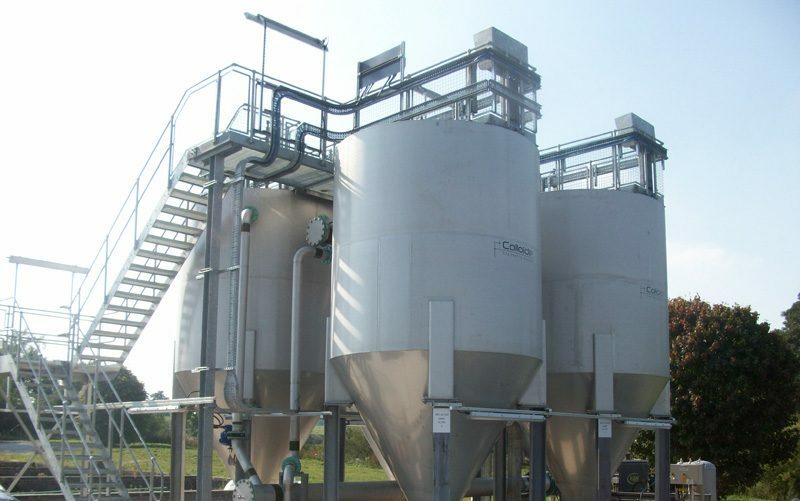 Colloide also provide Dynamic Sand Filters, click here for more information. High filtration velocities are achievable, typically in the range of 10— 15 m3/m2/h. The deep bed effectively guarantees a high solids capture and high performance. The coarse media encourages solids to penetrate the bed, allowing the bed to store a large quantity of solids resulting in longer run times and less backwashing. 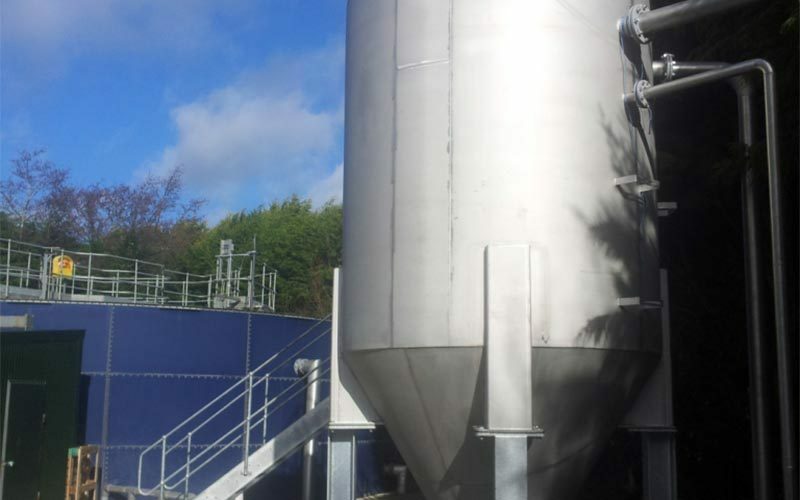 We can design and build systems to suit concrete or steel filter tanks, depending on the plant flow rates and client preferences. Our filter under-drain system is designed to reduce the overall height of the filter while maximizing the backwash efficiency. Furthermore, it has a very long life and does not block. 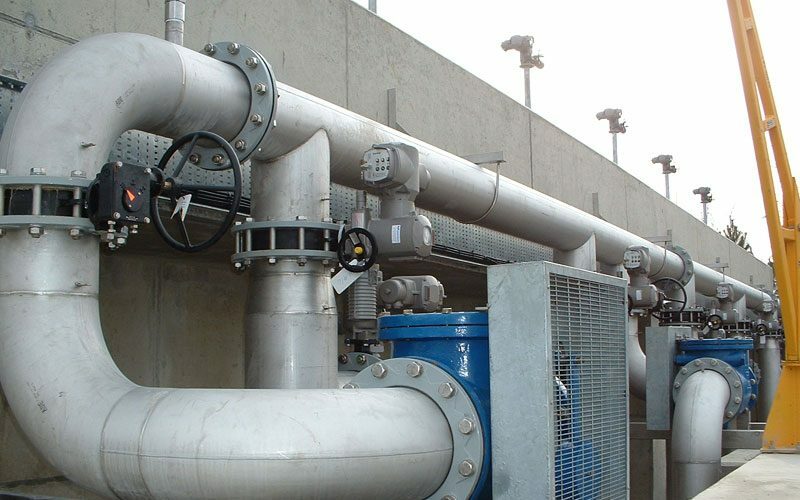 A central launder runs along the length of the filter and is used to evenly distribute the incoming flow along the filter and then to collect the dirty washwater. The filter can handle high solids loading. The main function of Deep Bed Sand Filters is to remove solids from the incoming water/wastewater. When used on drinking water, these filters provide an effective barrier to many drinking water contaminants, with excellent removal of turbidity, metals, microorganisms and colour. When used for wastewater treatment, the solids removal reduces BOD/COD levels in the treated wastewater. These deep bed filters may also be used for nitrate (NO3-N) removal and/or phosphate removal. The filter achieves SS removal, BOD removal, phosphate and/or Nitrate removal in a single step.